In 2 Peter, Peter exhorts all who read his letter to make their calling and election sure by diligently pursuing the fruit of the Spirit. “For in this way,” he writes, “there will be richly provided for you an entrance into the eternal kingdom of our Lord and Savior Jesus Christ” (2 Peter 1:11, ESV). 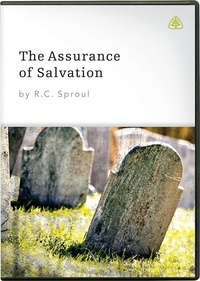 Exceptional teaching on helping Christians to understand the Doctrines of Election and Salvation, exposing false assurance of Salvation and culminating with Christ's and other NT Scripture on how we can each know 'if' we are saved. Wonderful Teaching! Thank you R.C. & Lionier!